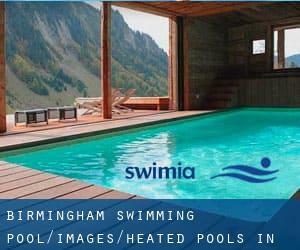 Thanks to some new Heated Pools in Birmingham submitted on a daily basis, Swimia.com is increasing daily the number of stored pools. Please don't hesitate to contact us for those who find any inaccurate or incomplete details. Most of the Swimming Pools offer both open lanes for independent swimming and also guided activities like water aerobics or aquabike. Water sports are growing specifically in elderly population sectors who have suffered some sort of muscle or bone damage. Not all countries are the identical, and swimming regulations and rules are changing from one country to another. We currently have the following Heated Pools in Birmingham, but we are consistently grateful for any corrections or contributions. Get in touch by way of our contact form. Swimming is a sport for all ages. It assists young people today to tone their muscles and grow healthful and strong. 69 Alcester Road South , Kings Heath , Birmingham , England , UNITED KINGDOM (Postal Code: B14 7JG). Among all of the activities supplied by the centre, if you are considering swimming you will delight in 20 meters x 8 meters, Indoors. If you have to get in touch with this Swimming Pool, e-mail address and phone number are both number. Updated on 2019 Alcester Road South , Kings Heath , Birmingham , England , UNITED KINGDOM (Postal Code: B14 6ER). This sports centre provides 25 meters, 4 lanes, Indoors. 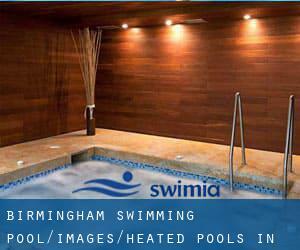 Contact information and facts for this Swimming Pool such as phone number and email address are number. Stratford Road , Sparkhill , Birmingham , England , UNITED KINGDOM (Postal Code: B11 4EA). Among all the activities offered by the centre, should you be interested in swimming you will take pleasure in 30 meters, 5 lanes, Indoors. If you'll want to contact this Swimming Pool, email address and phone number are both number. 20 Ashbrook Drive , Rubery , Rednal , Birmingham , England , UNITED KINGDOM (Postal Code: B45 9FN). Among all the activities offered by the centre, in case you are interested in swimming you'll enjoy 25 meters x 6 meters, Indoors. Just in case you want to contact this Swimming Pool prior to dropping by, we only know the phone number. Mason Road , Erdington , Birmingham , England , UNITED KINGDOM (Postal Code: B24 9EJ). This sports centre offers 25 meters, 6 lanes, Indoors. Contact information for this Swimming Pool which include phone number and email address are number. Updated on 2019 Bristol Road South , Northfield , Birmingham , England , UNITED KINGDOM (Postal Code: B31 2PD). Among all the activities supplied by the centre, if you are thinking about swimming you can enjoy 33.3 yards, 5 lanes, Indoors. If you need to contact this Swimming Pool, email address and phone number are both number. Woodcock Street , Aston Triangle , Birmingham , England , UNITED KINGDOM (Postal Code: B 4 7ET). Among all the activities offered by the centre, if you are enthusiastic about swimming you can take pleasure in 25 yards x 9.75 meters, 3 lanes at all times (slow, Indoors. If you need to contact this Pool, email address and phone number are both number. Shirley Rd. , Acocks Green , Birmingham , England , UNITED KINGDOM (Postal Code: B27 7NS). Among all the activities provided by the centre, when you are interested in swimming you'll take pleasure in 25 meters, 4 lanes, Indoors. If you might want to contact this Swimming Pool, email address and phone number are both number. Vicarage Road , Kings Heath , Birmingham , England , UNITED KINGDOM (Postal Code: B14 7QJ). Among all the activities offered by the centre, in case you are interested in swimming you'll enjoy 25 meters, 4 lanes, Indoors.